Visible from highway 460 1/2 mi south of the stadium, the VT “Space Building” is home of Space@VT where Virginia Tech focuses on space science, engineering instruction, and educational outreach. 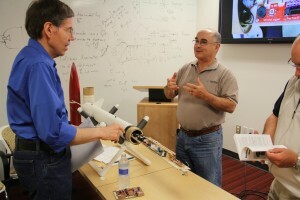 NRV Rocketry has an active relationship with the VT Aerospace department, which holds classes at the Space building, as well as the VT Rocketry student organization. NRV Rocketry has most of our semi-regular club meetings at the Space Building where various guest speakers, high power rocketry topics and workshops are held. Most often we use the Space Building in conjunction with the VT Rocketry for club meetings where we have topical presentations, talks, demonstrations, and club business meetings. Examples of club meetings include high power rocket design, redundant L2/L3 recovery systems, avionics bay design, GPS/ham radio tracking, DIY e-match dipping, and more. 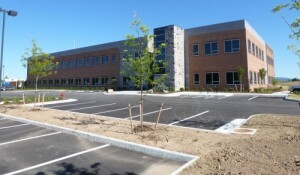 The point of contact for booking something at the VT Space Building are the officers(at)nrvr.org and the Space Building/VT staff representatives (who also receive NRVR officers emails).